World Foam is one component type polyurethane which is hardened by humidity in the air once it has been sprayed from the can. Its foam expansion and adhesiveness is excellent to fill various gaps, empty space and cracks perfectly and also, it presents outstanding quality for multiple properties such as thermo-keeping, insulation and sound-proof. 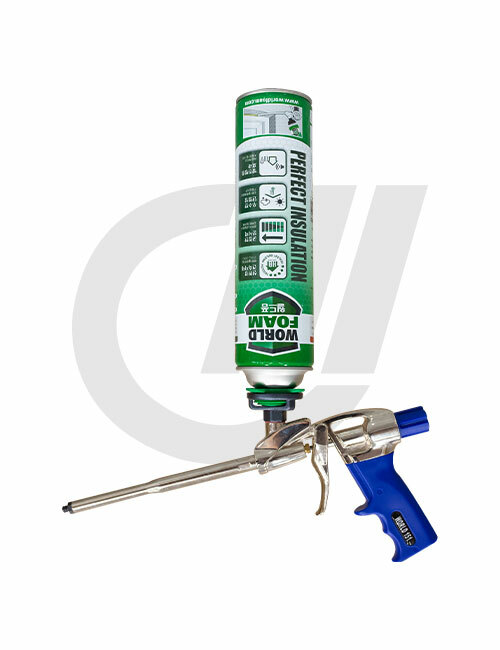 Gun-type is foam for professional in many construction sites where lots of foam are used. By using foam gun (Foam Gun), the part to be worked can be completed fast and correctly.